Look out for the MI6 building and see if you can see any real life James Bonds. Get there early to make sure there is space for you on your chosen time slot. 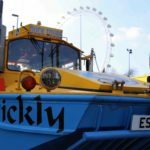 Like tours of London? Try the Big Bus Tours. 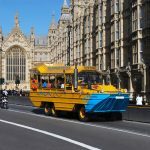 Hop aboard one of the London Duck Tours distinctive yellow DUKWs and enter the wonderful world of amphibious travel. 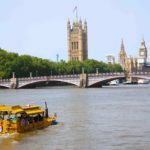 With the Classic Sightseeing Tour, you’ll see some of London’s most talked about sights and learn interesting facts about the city. 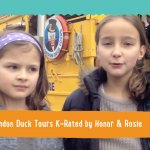 Prepare to be amused and amazed by an action packed live commentary before the thrilling splashdown onto the River Thames. 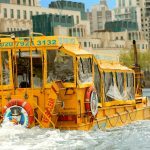 Why not try a themed tour? 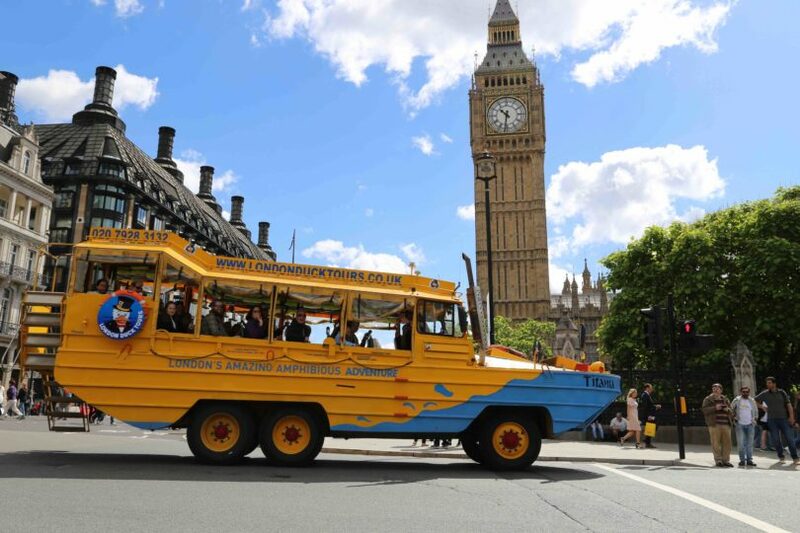 Limited Edition D-Day James Bond, Pirate and festive Quackmas Carol Tours also available. 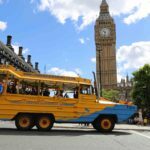 The London Duck Tours are an extra fun way to see the sights of London. 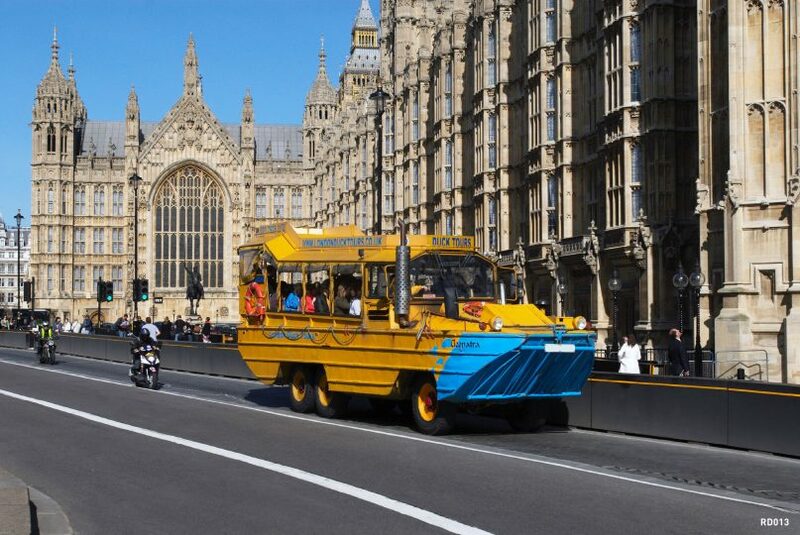 They’re perfect for tourists visiting London for the first time and kids born and raised within the M25. 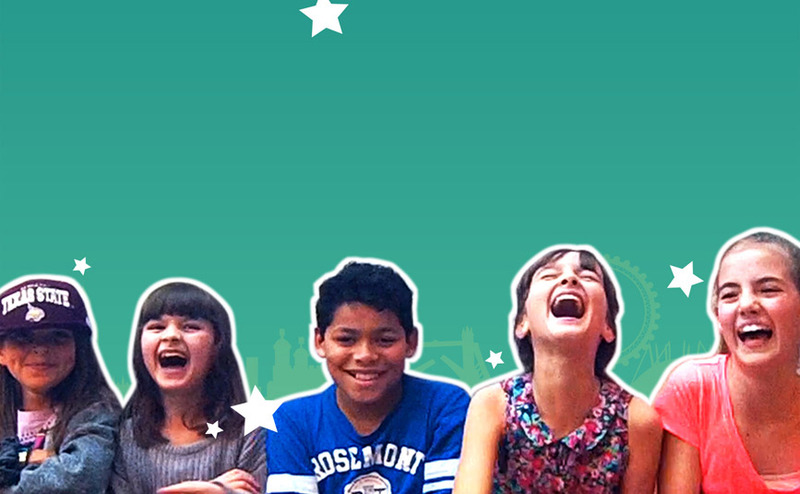 Departure point: Find us on the Southbank, Belvedere Road, SE1 8XU, just off Jubilee Gardens in-between the London Eye and Southbank Centre (Royal Festival Hall). 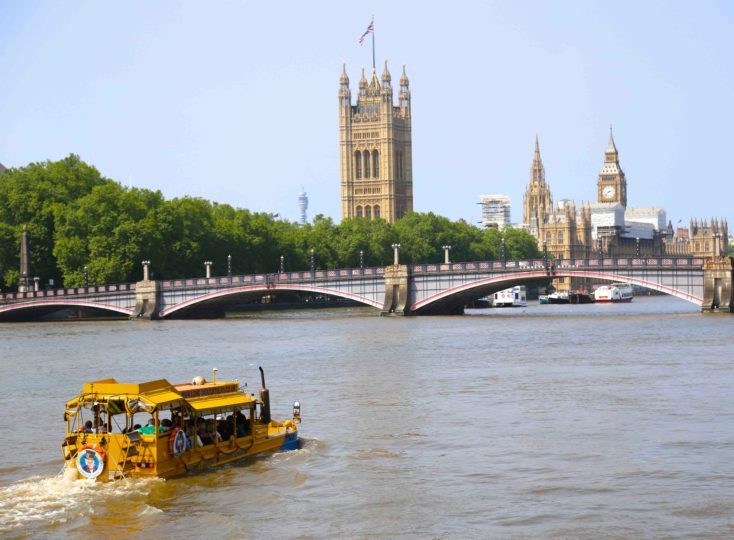 We’re a short walk from Waterloo train and tube station. 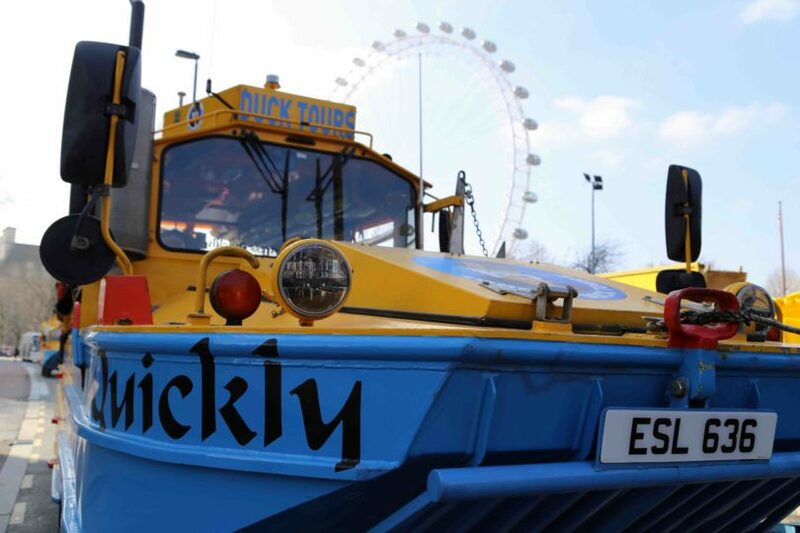 Booking ahead to guarantee a space on the duck. 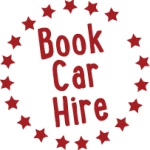 Due to high demand it is best to book well in advance. Booking Office open Monday to Sunday, 09:00 – 17:30. 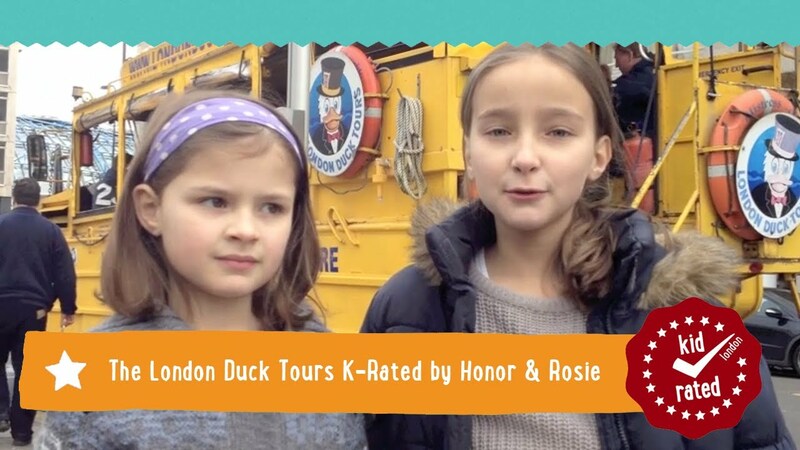 Thanks, KidRated, for a great tip – the London Duck Landmark tour was a great outing for our gang of seasoned (ie old) Londoners and 4 kids aged 8-12. 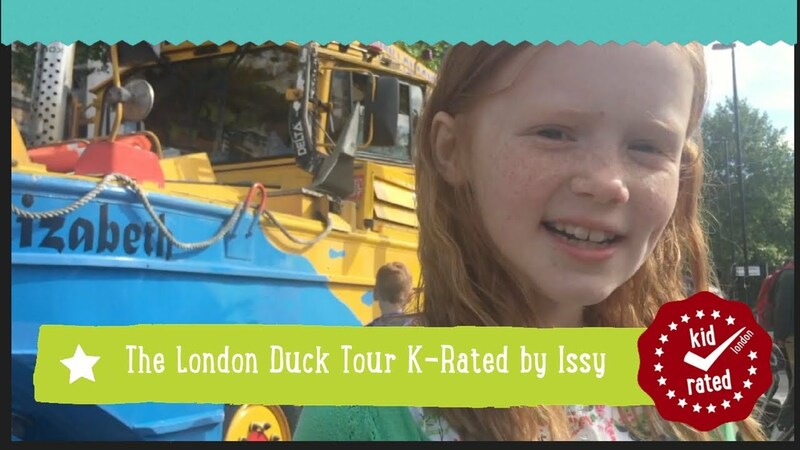 The commentary was witty and informative, the Duck was suprisingly comfortable, and you get loads of cheers and stares from bystanders! 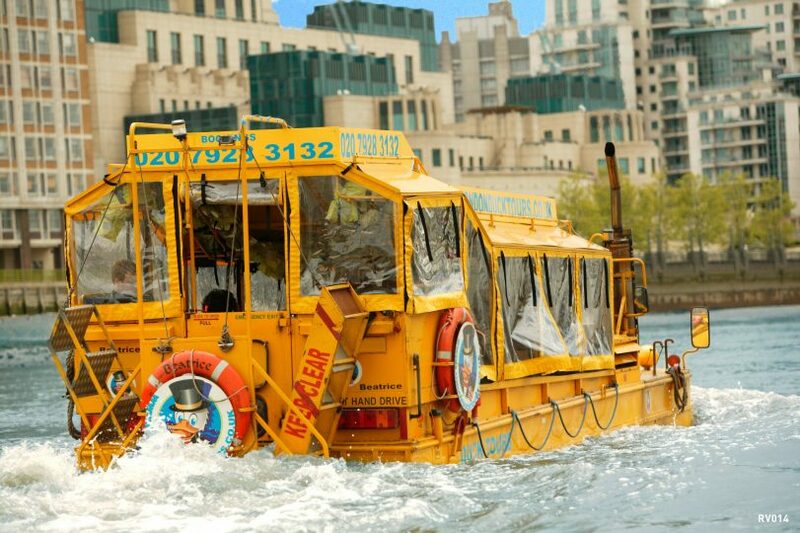 The descent into the Thames was scary (for me only – kids loved it) but smooth once you’re in the water. The length of the journey is perfect for the little ones. I’ll definitely go again when taking visitors around the city.